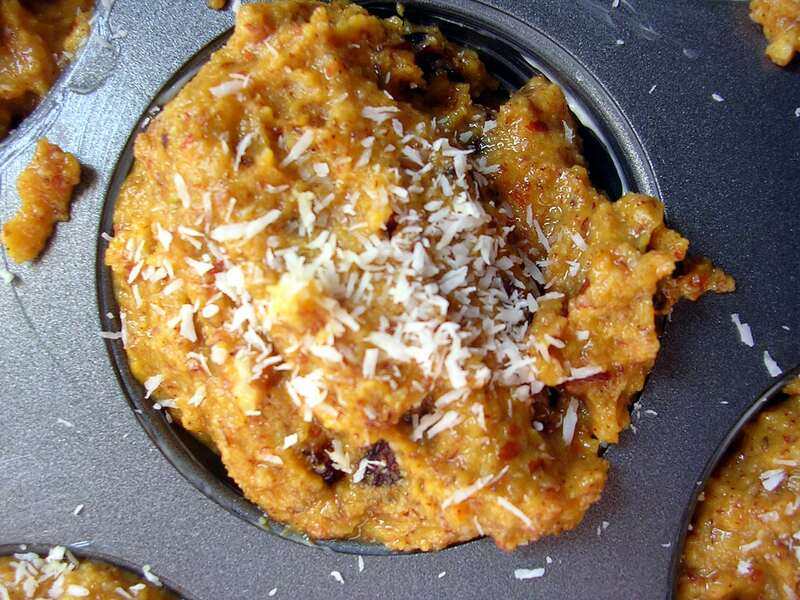 I found this recipe for paleo pumpkin muffins a while ago and I’ve been waiting for fall to come so that I could try it out. As I’ve said before, I’m mildly obsessed with pumpkins. 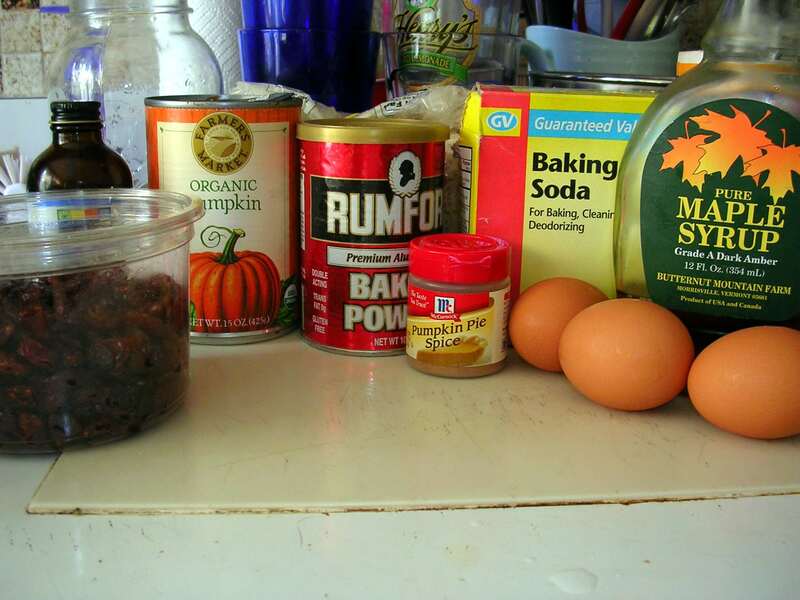 I’m also mildly obsessed with muffins, so I was hoping that this recipe would be delicious. 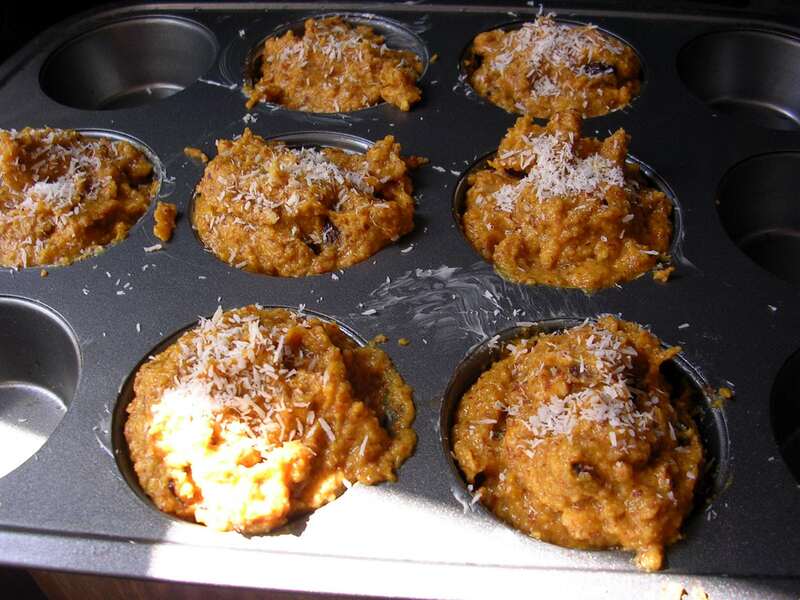 These muffins were maybe the best pumpkin muffins I’ve ever had. Seriously. I was literally dancing around the kitchen while they were baking singing a muffin song…just ask M: he was witness to my muffinsanity. I preheated the oven to 350, and mixed all of the dry ingredients together in a large bowl. Then I added the eggs, vanilla and maple syrup to the dry mix. The original recipe was for six muffins, but I had enough batter for a seventh. I filled the empty muffin holes with water so that the muffins would cook evenly. I’m not sure that the water actually does anything, but my mother used to do this when I was growing up, so I decided I should try it. I baked the muffins for 20-25 minutes. M and I each ate one for breakfast this morning. These are easily the best muffins I’ve had in a long time. They had the perfect amount of pumpkin and they were sweet, but not overly sweet. I would even use less maple syrup the next time I bake them. 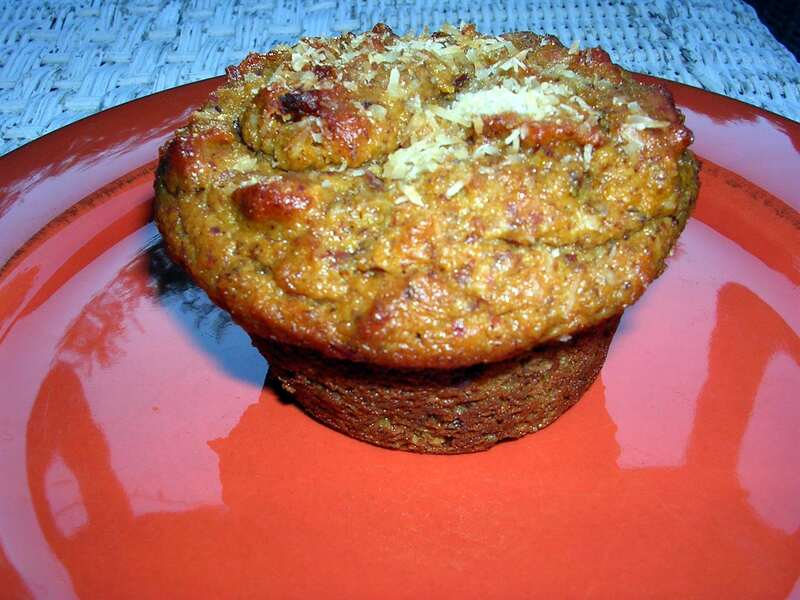 Pumpkin muffins are a wonderful way to start a nice, crisp fall day! Beautiful muffins! I just baked 2 dozen (apple coconut and banana chocolate chip) to take to work- had I seen your recipe I would have baked them instead. They look yummy. Oh my lord, those look good. 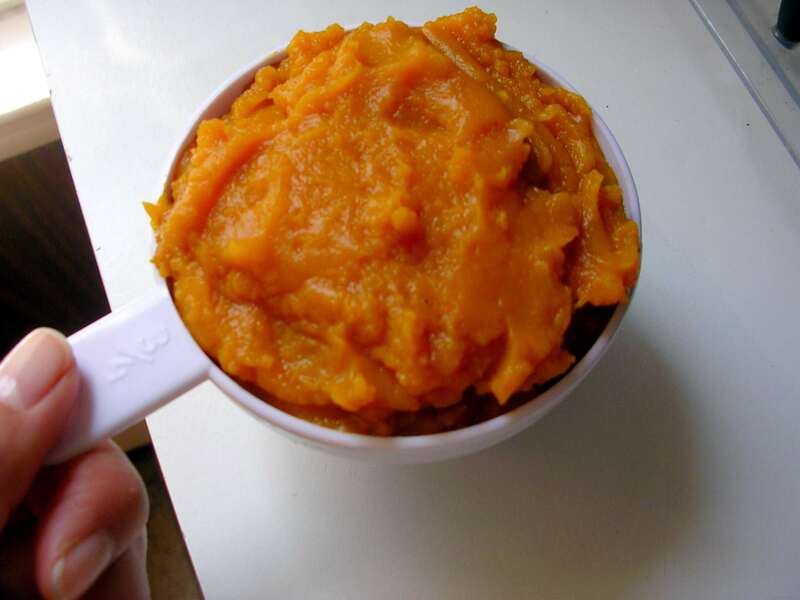 I wish I had some pumpkin puree left over, so I could make these. Great pictures too. 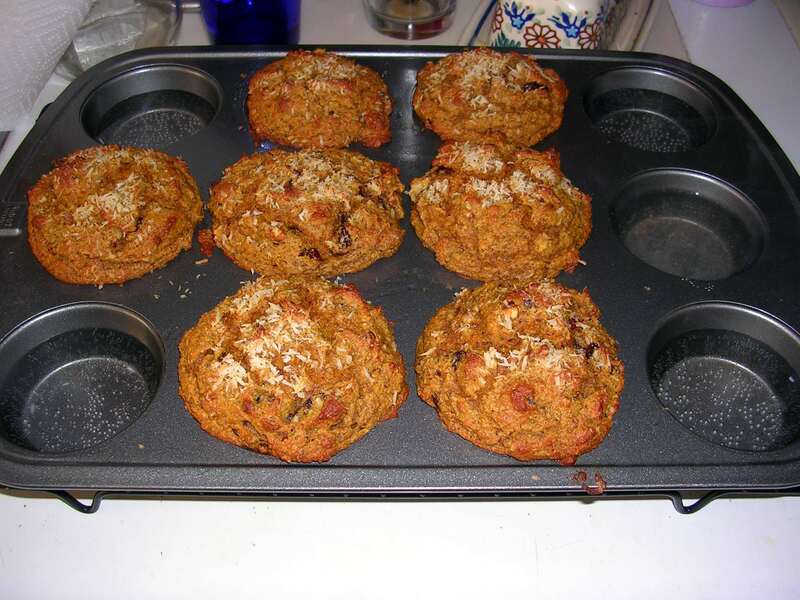 I love making muffins, because they are easy and portable. Only thing is, almond flour is really expensive. Where do you usually get yours from? Bob’s is the one I bought at our local store. It costs about $11 or 12 for a small bag. Kind of discouraging. Hi there! 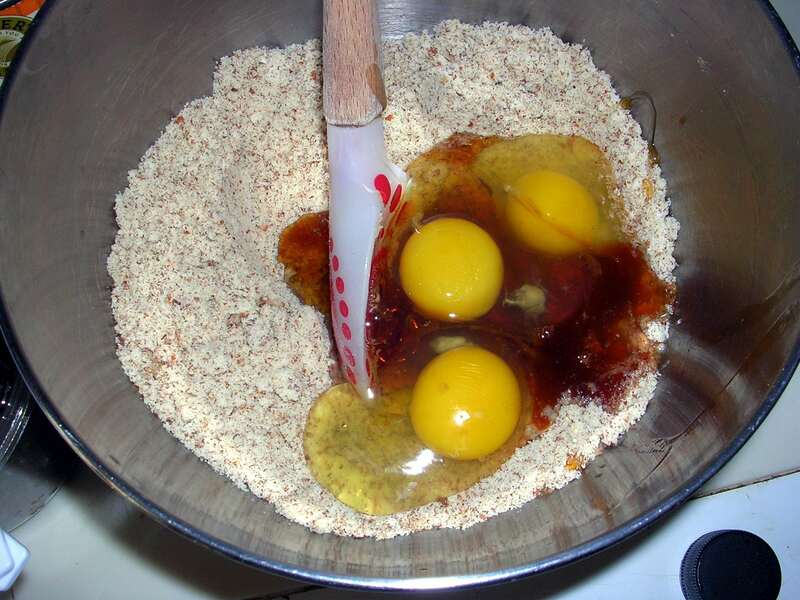 I just adapted your recipe for a bake sale this week. Doubled it, to start with. Couldn’t find canned pumpkin but was able to adapt chunked butternut squash, and I subbed out the pecans (disliking most nuts) and the dried cranberries for other ingredients, and took your suggestion to use a little less maple syrup. (I did post this on my own blog just now.) 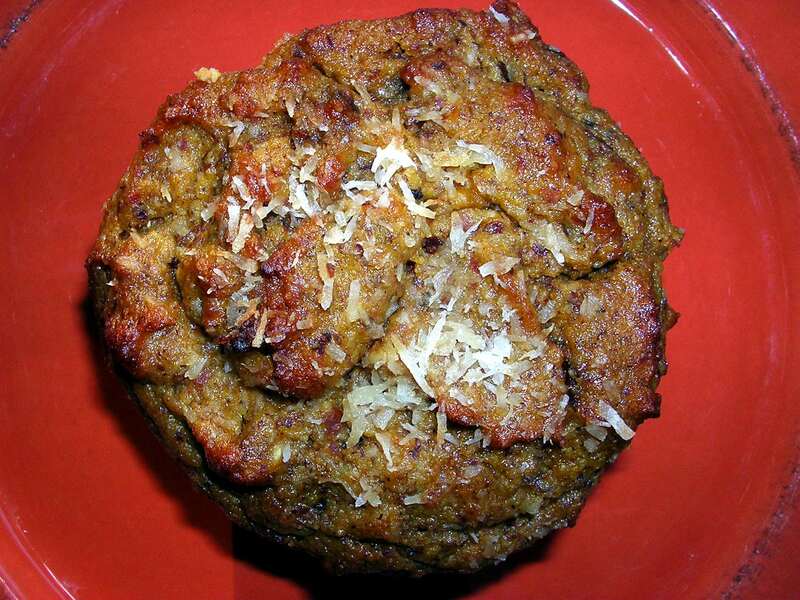 An excellent muffin base! Moist and versatile. Thanks for the tip Laurie Anne! I’ve been meaning to do that… now I definitely will! 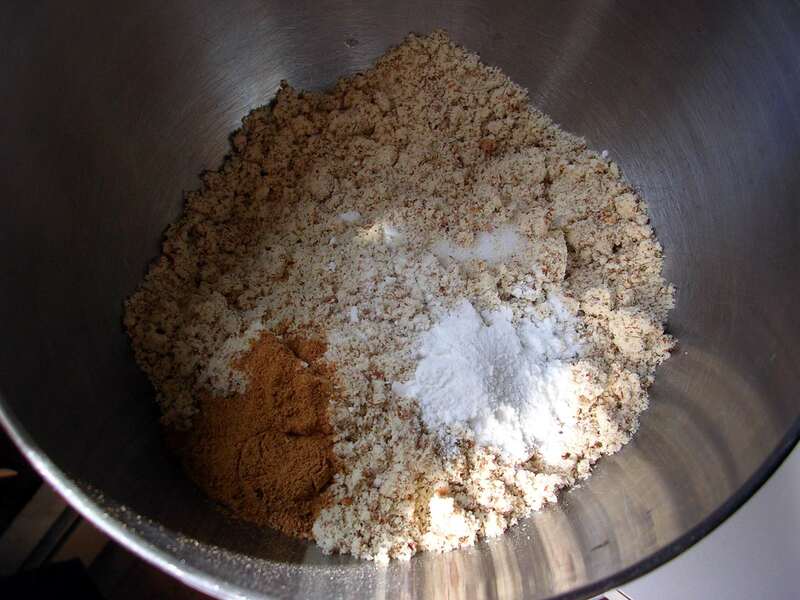 Don’t do that for every recipe that calls for almond flour, though, or you won’t always like the texture. Technically, ground almonds are almond *meal*, not almond *flour. 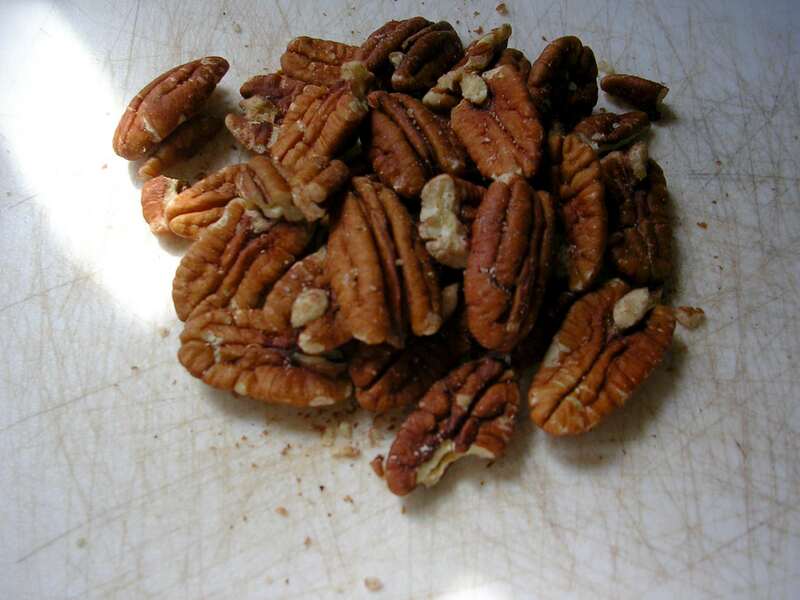 * The process of making the flour involves first blanching the almonds (removing their skins) and then defatting them before grinding. Blanching can be done at home but I’m not sure about the defatting, and it’s still a lot of work. Heading downstairs to make these right now!! 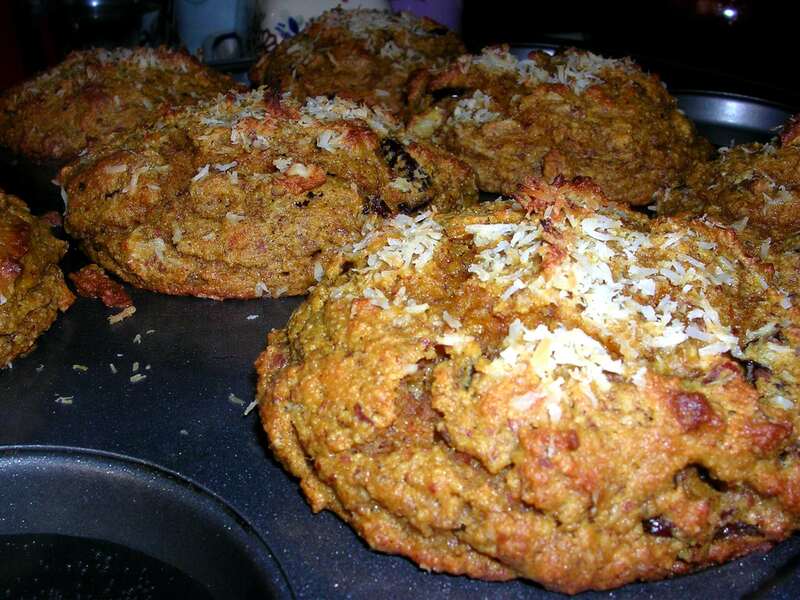 I have been experimenting with Paleo baking and these look very promising!! I just made these for breakfast and I loved them! Great recipe! I just had another one today for breakfast, so thank you! Happy Monday! I only have fresh cranberries, not dried. Think that will work? I think that would work! 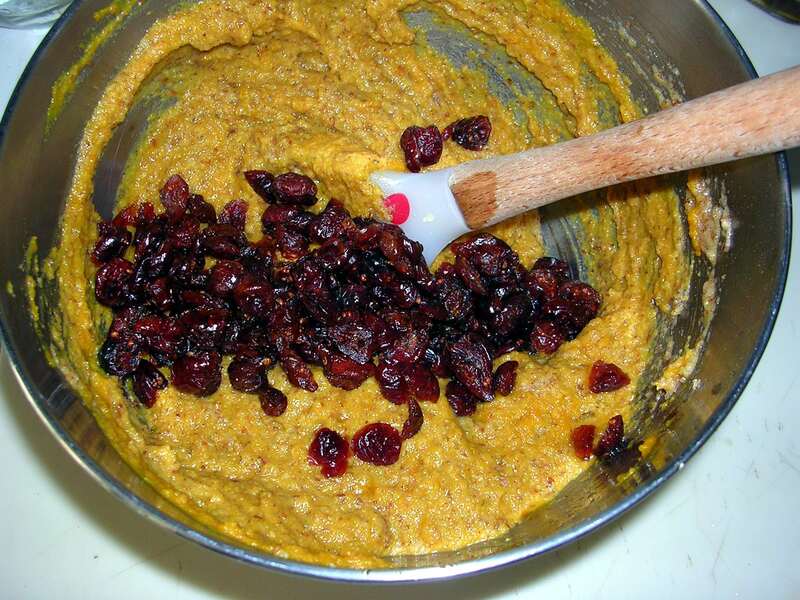 The batter will be a bit wetter than with dried cranberries, so you might want to add a few tsp of coconut flour or arrowroot to get a good consistency. Let me know how they turn out!